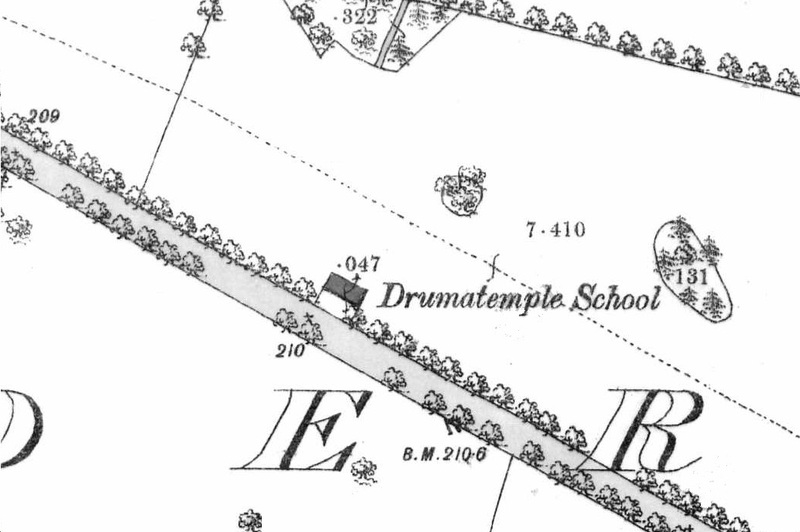 Situated about a kilometre outside the Co. Galway village of Ballymoe but just across the county border, Drumatemple National School lies near the roadside of the N60 in Co. Roscommon. A plaque next to the door dates this two-room, detached, single-storey school house to 1935 though the Second Edition OS sheet shows that there was a school building at this location at the turn of the 20th century. The school house is boarded-up and today used for storage. However, it is in a relatively good state of preservation with much of the interior still surviving and much of the original furniture still present. 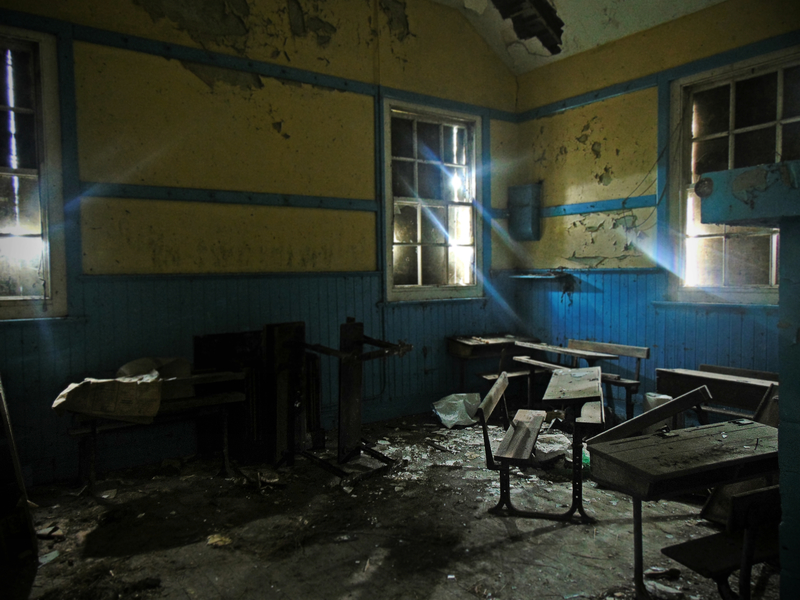 The record of ‘pupils on roll in the ordinary national schools of Co. Roscommon in the year 1890’ shows that this was a busy school house – with a size-able attendance of 172 – most likely servicing the nearby village of Ballymoe. 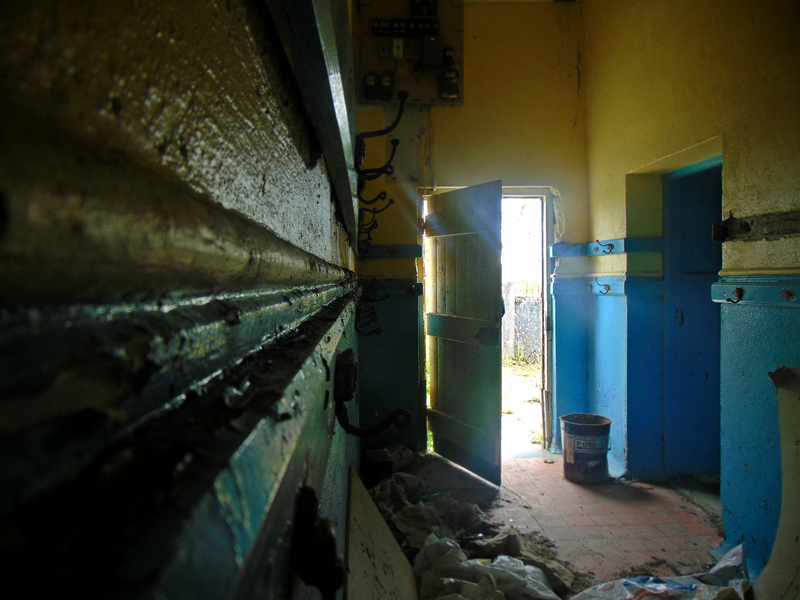 With the windows heavily boarded up and the rooms in total darkness, only a handful of long-exposure photographs managed to reveal the interior of the building. Painted in bright blue and yellow, it is clear that this building did not change much since it’s construction in 1935.